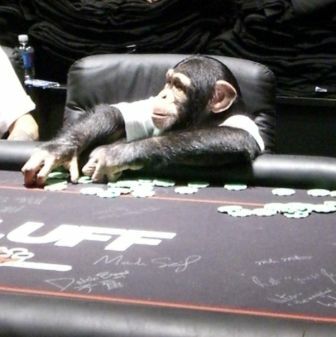 They have the monkey at the WSOP, for real. I saw him today at the Bluff magazine booth doing a little “poker show”. I doubt they have been able to put him into the main event because of legal reasons (you got to have official photo-id) but still the marketing effect is tremendous.